One of our very strongest backlist titles that enjoys the most consistent sales has now been updated and revised to take into account the Church of Englands new ordinal. Since its first publication in 2002, Being a Priest Today has established itself as the first book that is recommended to those who are exploring their vocation. Now entering its fourth printing, it also offers renewal and refreshment to those who may be feeling weary after decades of priestly ministry. A timeless book that focuses on identity and calling rather than function, it explores the root, the shape and the fruit of priestly life and work. 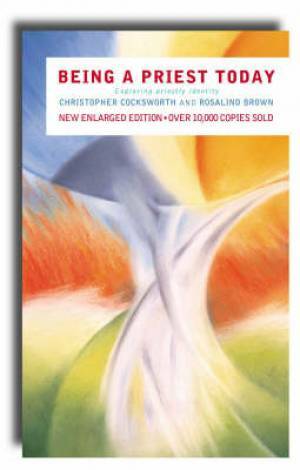 Being a Priest Today: Exploring Priestly Identity by Christopher Cocksworth;Rosalind Brown was published by Canterbury Press in June 2006 and is our 10508th best seller. The ISBN for Being a Priest Today: Exploring Priestly Identity is 9781853117299. Be the first to review Being a Priest Today: Exploring Priestly Identity! Got a question? No problem! Just click here to ask us about Being a Priest Today: Exploring Priestly Identity.